I wasn’t smart enough to really ‘get’ physics. Or maybe, I didn’t have the time to dedicate to trying to understand physics. Either way, it doesn’t matter too much, because I love it even if I don’t quite understand it! I think that scientists that ponder and try to solve the mysteries of the universe are some of the coolest people on the planet! Really, I do. Back before reality TV was popular, networks tried to gain viewers with ‘content’, and I watched documentaries, and science shows all the time. Today, I subscribe to a bunch of RSS feeds from science oriented blogs and sites like National Geographic and Scientific American. I came across another fascinating article on the current debate on why the universe is actually speeding up instead of slowing down like scientists have theorized all along. The two current ideas floating around in space(pun intended), is that we either don’t really understand gravity like we thought we do, or that there is dark matter that rules the universe. And, that we just can’t see it, hence the name ‘dark matter’. What goes up must come down. Few on Earth would argue with the fundamental law of gravity. But today the 2011 Nobel Prize in Physics was awarded to three scientists who uncovered a dark side of the force. New Nobel laureates Saul Perlmutter and Adam Riess of the U.S. and Brian Schmidt of Australia contributed to the discovery that the universe is not only expanding but also speeding up. The finding led to the now widely accepted theory of dark energy, a mysterious force that repels gravity. 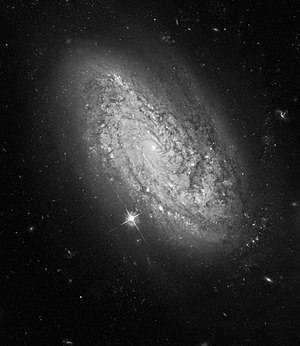 Measurements show that dark energy accounts for about 74 percent of the substance of the universe. But more than a decade after the Nobel-worthy find, scientists are still trying to pin down exactly what dark energy is and and thus solve what some experts call “the most profound problem” in modern physics. via Physics Nobel Explainer: Why Is Expanding Universe Accelerating?. I am a physicist. I really don’t understand the theoretical physics either. BUT i do like reading about it. i think that is why i am so fond of Stephen Hawkings. He inspired me to switch from chemistry to physics (the arm twisting lasted all of 10 sec) and then continues to inspire me with his humor and his desire to make the non physicist understand the basics of the ideas. Next PostNext Google+ is failing. Fast.